Why do we recommend upgrading your door? Well, we have complied 7 reasons why it is a worthwhile decision to invest in a new door replacement. Elite windows are always promoting customers to upgrade their door; as we know the multiple benefits, it can provide you. However, many people don't understand the advantages, and often overlook replacing their door. If you are one of these people and have never considered a new door installation or have but want to know how it will benefit you – read on to discover the 7 benefits that will convince you to upgrade. The primary benefit of upgrading your door is that your home will become more energy efficient. Does your door suffer from annoying draughts, cold spots and sometimes an unwanted breeze? If so, these are the signs of an out-dated door – and its time for an upgrade. Nobody wants the outside getting in, and by ensuring your doors are properly insulated, you keep the outside – outside! A new entrance will provide you with improved installation to keep your home warm in the winter months. Modern draughts strips and weather seals stop rattling, prevent water leaking and help you save on your energy bills. When the cold weather strikes, most homeowners often have their heating on longer or higher to accommodate this. However, if your door is inefficient, this warm heat is lost immediately, and cold draughts linger in your home! By upgrading your door, you stop this. You'll find yourself less inclined to switch on your home's heating and therefore reduce the money you typically find yourself paying out on bills. 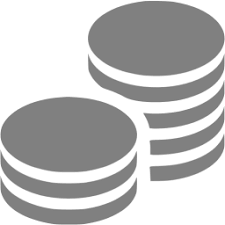 With any home improvement, there is the advantage of a financial increase to the value of your home. Modern home features are an instant attraction for potential buyers. 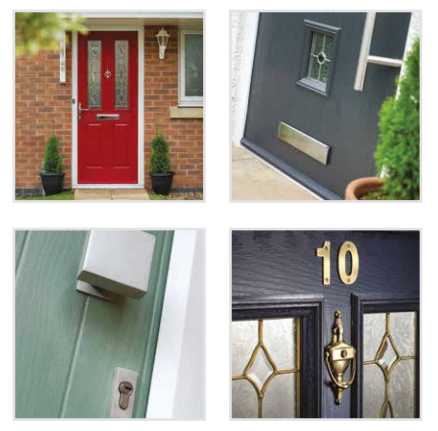 Not only that, an upgrade on your door can make an impression with passers-by and your neighbours. Your door act as the first impression of your home – therefore it has to make a statement. Become the talk of the town with a new, stylish door that will result in an exterior everyone will be talking about. Sadly, domestic burglaries do happen, but a new door can offer you improved protection and security. 72% of burglars enter through a front door – and worryingly, one home in England is broken into every 10 seconds. Your entry is the ‘frontline' in the battle to protect your home from intruders. If your door is old and damaged, it is easy to see why statistics are on the rise. Old doors provide very little security compared to modern fittings on newly designed doors. Multi-point locking systems, high-security door cylinders and frame reinforcements provide excellent defence. Keep you and your family safe with an upgraded door. 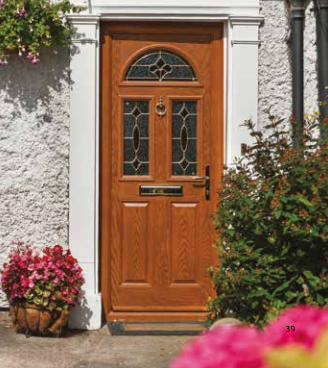 One of the most apparent reasons for upgrading your door is the opportunity to revitalise your home. Getting tired of walking through the same old door every day – with a new and improved door you will experience an overall appeal of ‘freshness'. Enjoy a stylish door that will transform your home and make you feel house-proud. All the doors we supply and install can be guaranteed to last for decades. We provide the most cost-effective and beneficial doors on the market, so you can be assured when you invest in a new entrance or exit, you are getting high quality and longevity. The exterior construction of modern models reduces forms of weathering regarding chipping, peeling and bubbling. Even though steel, fibreglass and wood doors all last a lifetime – the difference is wood doors require more maintenance. Here at Elite Windows, we provide new doors that are future proof and will be become a worthwhile investment in the long run. When you first buy a house, it is likely that the door does not reflect your style and personality. But, by upgrading your door with Elite Windows, you can start creating your house, your home. Whether you want luxury or something subtle and simple, there is a door to suit you! With a range of colours from Grained White to Golden Oak, Chartwell Green to Dark Red, there are endless combinations and possibilities to create a door to match your ideas. Customers can choose from an array of handles, hardware and other door furniture to complete their look. Lastly, the final benefit of upgrading your door is a reduction in noise pollution. By installing a new door, you will hear an immediate improvement in how much noise is produced from the outside. 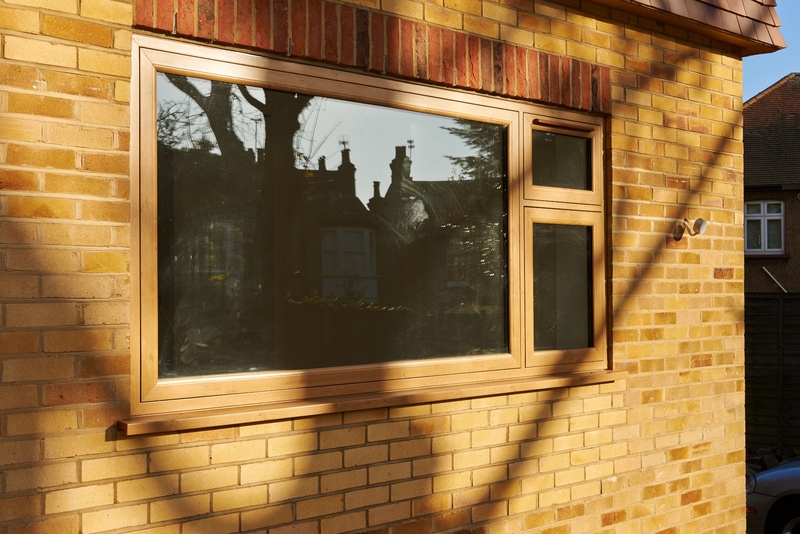 With a new door comes double glazed glass or a durable, thick material that will buffer the amount of noise that is emitted into your property – giving you peace and quiet. Here at Elite Windows, we're passionate about improving our customer's homes – that's why when investing in a brand new door you can be guaranteed you'll receive exceptional service. With so many benefits, why not upgrade your door! Contact us today to discover more about how we can help you.